Is there a smaller version of the Alpha hard tag? Alpha High Theft Solutions has developed a mini hard tag that has all the same features as the standard Alpha 2 or 3 alarm hard tag models. The main difference with the Alpha mini hard tag is that it is only available in the 3 alarm system configuration. The design is both sleek and is made to fit on high-end jeans, jackets, pants, suits, and other delicate items. The Alpha Mini 3 alarm hard tag features a flashing LED light that serves as a deterrent to a shoplifter and that the device is armed. In the occasion that the device is tampered with, the 95 decibel alarm will sound and alert the staff in the store of a possible issue. The dimensions of the mini hard tag enable it to be used in various items. The Alpha mini hard tag is approximately 2 ½ inches long, a little bit over an inch in width, and just a little bit over an inch in depth. The device also requires a Super XT Clutch key to be removed by store staff. The internal battery in the unit is a long lasting lithium battery. Loss Prevention Systems (LPSI) is known as the highly regarded nationwide consultant inside the United States for Checkpoint Solutions and Alpha High Theft Solutions. We now have nationwide sales, resources, along with services. 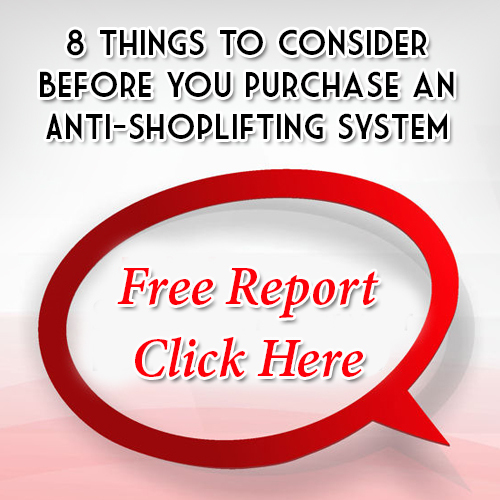 LPSI gives you much more than shoplifting prevention devices. The expertise in retail industry theft prevention enables Loss Prevention Systems to deliver real world training and strategies. Prevent theft for good with Loss Prevention Systems (LPSI), Checkpoint, & Alpha Systems. For more information on Alpha Hard Tags, call 1 (866) 914-2567 today!